A bad witch's blog: Pagan Radio - coming soon! Pagan Radio - coming soon! Pagans in the UK will soon have their very own radio station. 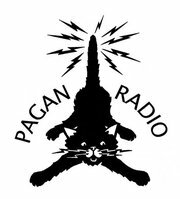 Pagan Radio is a new venture that aims to provide information and resources for pagans, help those who produce books, music, crafts and art promote their endeavours and to be a companion for solitary practitioners who can't always get to moots and meetings. Managing director and presenter Eleanor Bennet says she is also looking for contributors and for pagans who run businesses to tell the radio station about their skills, knowledge, music or whatever. When it is up and running, you will be able to listen to Pagan Radio live at the website. Like the idea of a pagan radio,great news. Very much looking forward to listening to fellow Pagans of all paths and to what everyone is up to in their neck of the Greenwood!